Organic Beauty Week is almost over, and I thought it was time I delved a little deeper into the organic products and brands I've been recommending, and shed a little light on the organic ingredients which make up some of my favourite products. Products can have a huge list of ingredients, even when natural and organic, and sometimes it can be difficult to understand why each ingredient is needed, what exactly it's benefits are and why it's going to be good for your skin. Here's some of the most common organic ingredients which pop up on organic beauty products, and what they actually do. Of course, this doesn't include every organic ingredient ever, but the ones I've noticed crop up the most. Know your ingredients and had any to add? Let me know! Acai Oil has antioxidant properties. Aloe Vera balances the skin's pH level, whilst supplying much needed vitamins and minerals. Apple Juice works to soften the skin. Apricot Stones work as an exfoliating agent which helps to rid the skin of dead cells. Chamomile works to comfort and sooth skin, whilst maintaining good skin health. Coconut Oil is a natural emollient and works to moisturise skin. Comfrey Plant Extracts works well to enhance fine, flyaway hair. Cucumber Extract works to moisturise the skin and disguises the signs of ageing. Cupuacu Butter works to moisturise skin. Enchinacea Plant Extracts also enhance fine, flyaway hairs and usually works alongside Comfrey. Eyesbright reduces puffiness and redness, as well as brightening. Frankincense has soothing and relaxing properties and promotes facial skin cell rejuvenation. Geranium Essential Oils work to rehydrate skin which is showing the signs of ageing. Gotu Kola Extract relieves inflammation. Green Tea has antioxidant properties, reduces inflammation and works as a natural skin-healing agent. Jojoba Beads remove dead skin cells. Jojoba Oil works to moisturise and nourish the skin. Lychee Extract works to prolong colour-treated hair whilst improving manageability. Marshmallow works to soften and re-condition the skin. Menthol provides a cooling sensation and is most effective in reducing puffiness. Natural Glycerine is a natural humectant and attracts moisturise to the skin, improving hydration. Patchouli Essential Oils rehydrate mature skin, whilst calming and soothing. Raw Cane Sugar works to cleanse and exfoliate the skin. Seaweed Extract is rich in proteins and minerals, beneficial for skin and hair. Sesame Oil works to moisturise the skin. 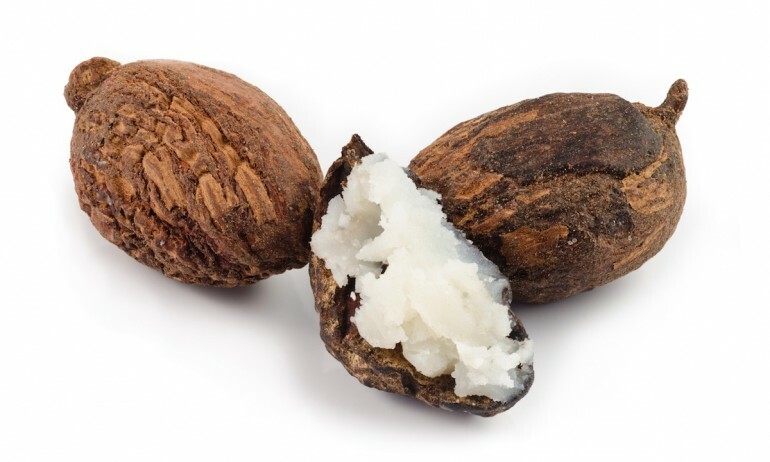 Shea Butter works to moisturise the skin and prevent moisture loss. Spicy Clove-Bud has antibacterial properties and works as a muscle relaxer. Sunflower Oil works to moisturise the skin. Sweet Almond Oil moisturises the skin whilst providing vitamins and minerals. Sweet Orange Oil is used for it's aromatherapeutic benefits. Vitamin E has antioxidant properties, reduces skin inflammation and irritation. Walnut Shells helps remove dead skin cells, leaving skin rejuvenated. Watercress Extract works to moisturise the skin. Witch Hazel has anti-inflammatory properties and helps to reduce puffiness. Be sure to catch up with the rest of my Organic Beauty Week posts!